Property management companies are tasked with a lot to say the least. From properly handling resident requests and keeping them informed to managing requests and expectations from the board and maintaining pristine communities, most days it may seem as if the work never ends. No matter how busy your Portfolio Managers and maintenance crews might be, it’s important that everyone within the company is focused on keeping customer service top of mind. Whether your team is dealing with the president of the board or a resident, they need to make that individual feel heard and respected, and work to resolve their issue with immediacy and professionalism, no matter how busy they might be. While the HOA board may be paying the bills, you cannot overlook your residents. It’s important that your team, community managers, maintenance crew, and others, provide exceptional service every time they interact with residents. It’s important that you properly train your team to create a culture of excellent customer service. 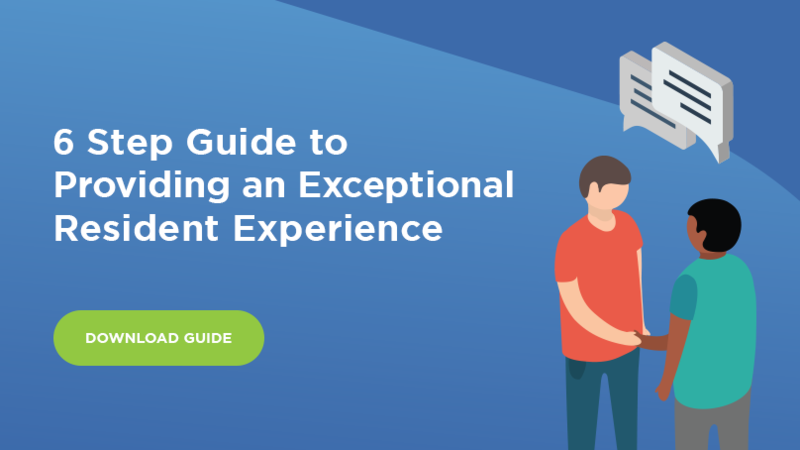 If you’re looking for tips on how your team can work to provide exceptional customer service, download our free 6 Step Guide to Improving Resident Experience.